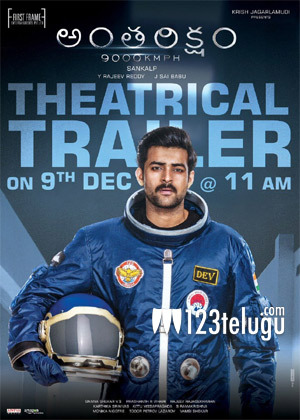 Yesterday, we had revealed that the trailer of Varun Tej’s Antariksham will be launched on the 9th of December. Now, an interesting update is that this trailer will be launched in Mahesh Babu’s swanky new multiplex AMB cinemas. As reported earlier, there is a special screen built for events like these and the makers of Antariksham thought that it would be better that their experimental film’s trailer gets launched in a theater which has great effects and technical facilities. Antariksham is directed by Sankalp Reddy and Krish produces the film.